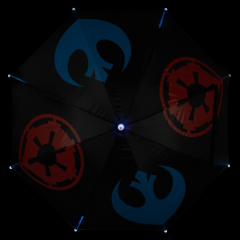 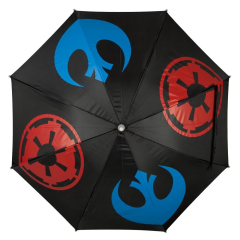 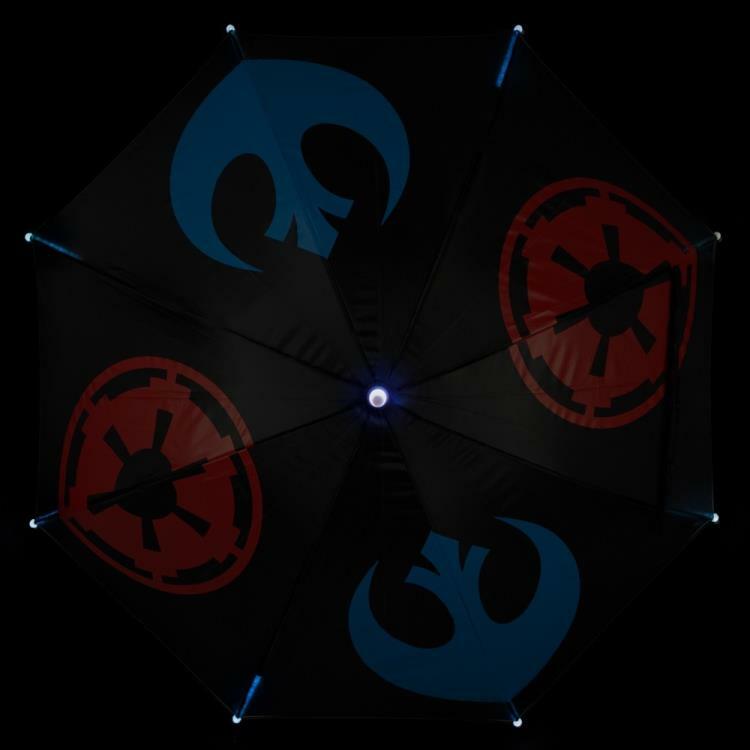 This Star Wars umbrella features an LED light-up handle with 2 settings: static and strobe! 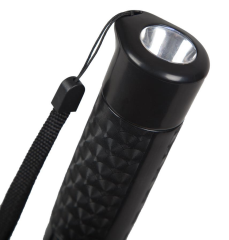 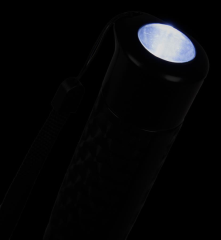 Use it as a flashlight to navigate the dark. 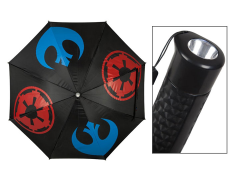 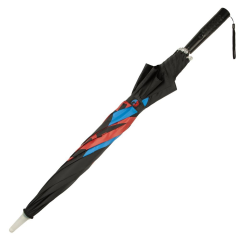 This umbrella requires AAA batteries.